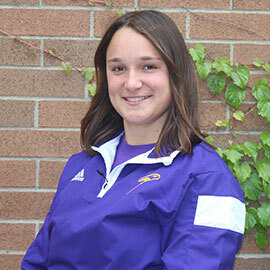 “Donations have allowed me to focus on my studies as well as my athletics, resulting in an amazing undergraduate experience.” This quote from varsity athlete and biology student Jacky Normandeau is just one of the many uplifting stories included in Wilfrid Laurier University’s annual Donor Impact Report, released mid-September. The annual report celebrates how donors help to expand and enhance the Laurier student experience. It includes a series of stories about projects from May 1, 2015 to April 30, 2016 that have received financial support from donors. Activity spans academic programs, learning and study spaces, experiences beyond the classroom, research and student financial aid. In total, more than 1,300 donors came together to donate nearly $8 million to Laurier over the past year. Donations come to the university in a number of ways. Many donors make at least one donation to the university every year. Others make major transformative donations. Some pay tribute to the university by adding Laurier to their wills or estate plans. The Donor Impact Report is also an important part of Laurier’s commitment to be accountable to donors. As the first university in Canada to receive accreditation from Imagine Canada under The Standards Program, Laurier is committed to operating at the highest standards in board governance, financial accountability and transparency, fundraising, staff management and volunteer involvement. The Donor Impact Report is an important part of strengthening public confidence in the university and showing appreciation to donors for their generosity.